It is currently 40º outside and sleeting, things are not looking so good for us Minnesotans. I am pretty sure that this blossom is all that I have left of the warmer, better times. 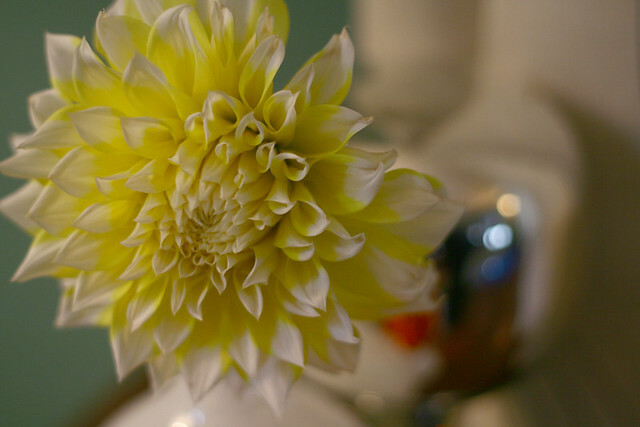 The first and only blossom from my “Grand Prix” Dahlia plant. So goodbye fall, goodbye summer. Here winter comes. I can feel it.